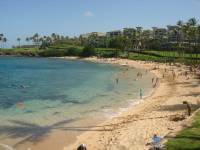 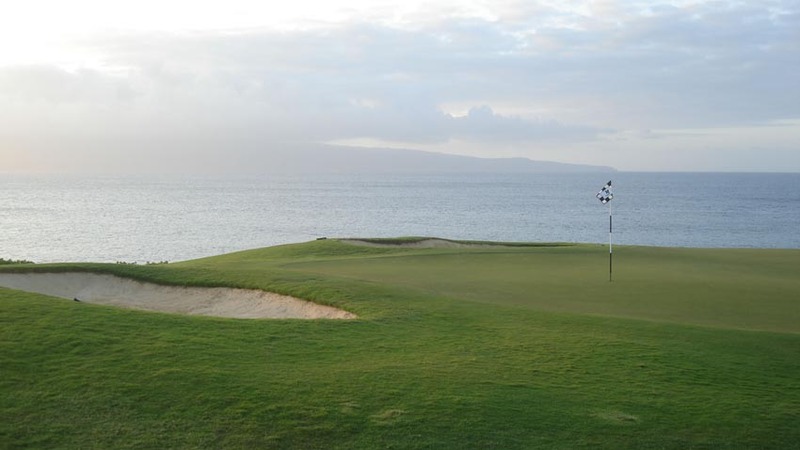 Kapalua Golf Club Bay Course in Maui is the golf course that really put Maui on the golf travel map. Kapalua Golf Club Bay Course was home to one of golf’s first great November/December events, the Kapalua International, which tortured viewers back on the mainland with its presentation of Kapalua’s beautiful lush fairways just as winter was fully descending. 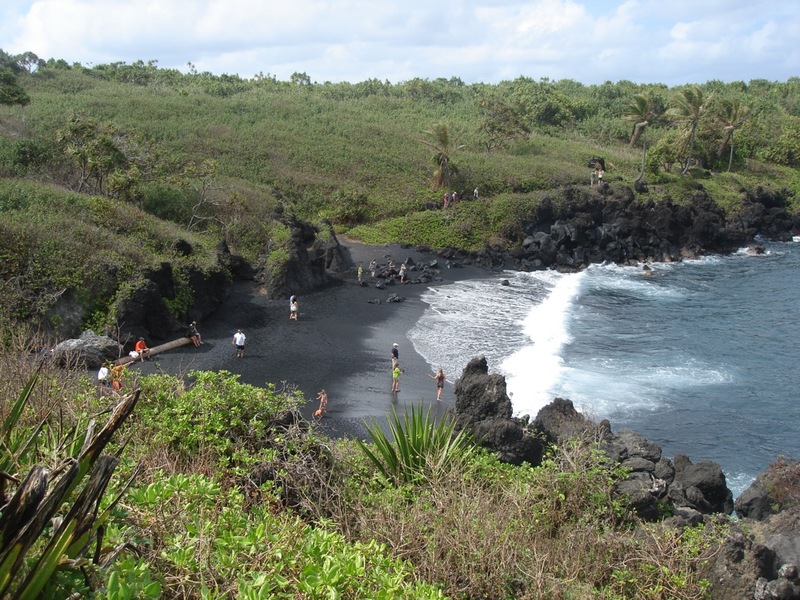 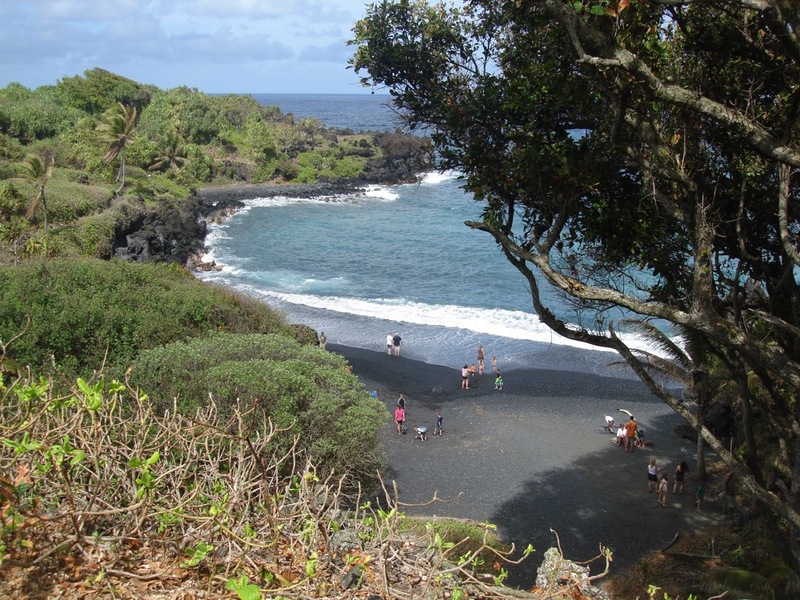 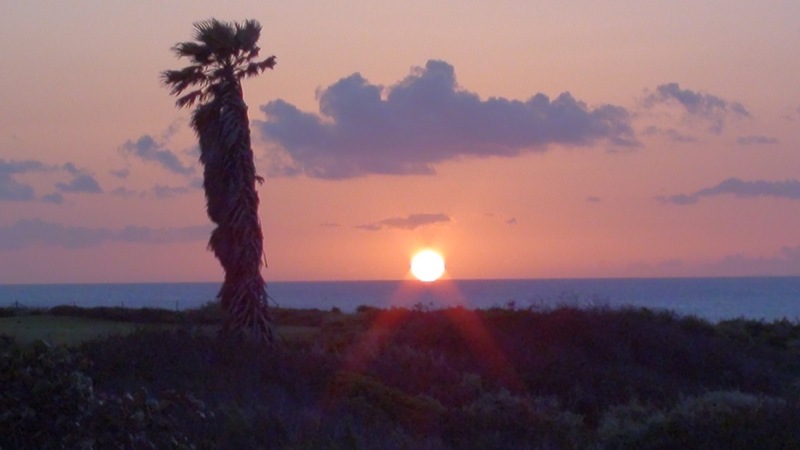 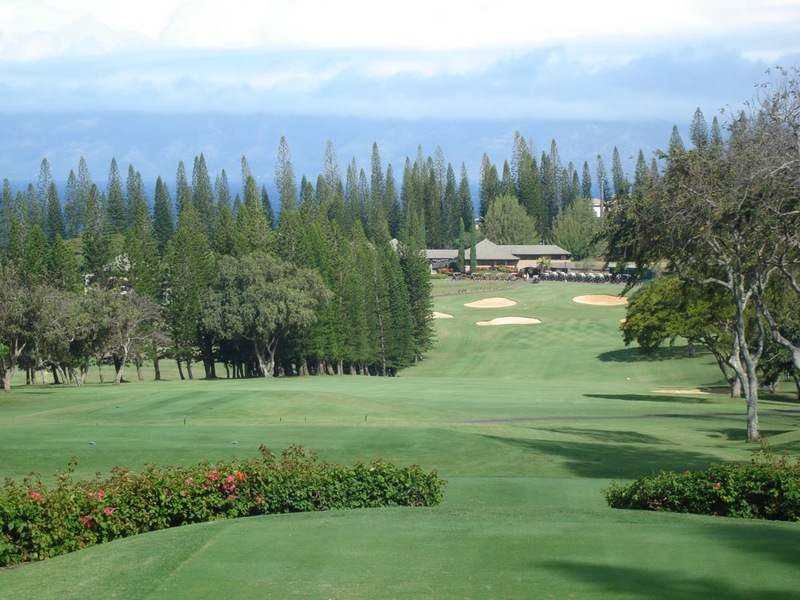 The 1983 Kapalua International on the beautiful Bay Course was in fact the first live prime-time golf telecast which only added to the number of viewers coveting the warm tropical Maui breezes! Greg Norman’s win in that inaugural event on Kapalua Golf Club’s Bay Course was also his first international win and set the stage for the Great White Shark to become golf’s #1 player for nearly a decade following. 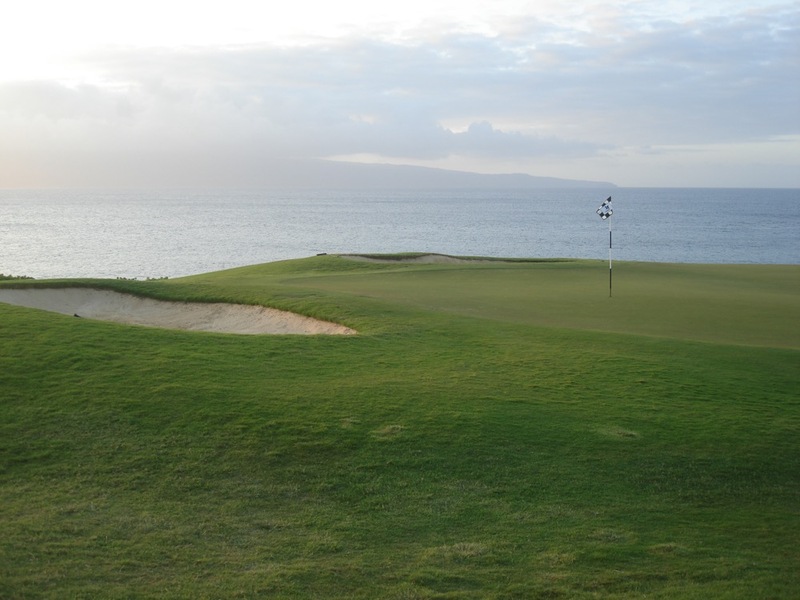 The sight of the par-5 18th hole on Kapalua’s Bay Course will immediately conjure up memories of this magical event, with the hole running straight to the Kapalua Golf Club Bay Course clubhouse with the Pacific Ocean and the island of Molokai beyond. 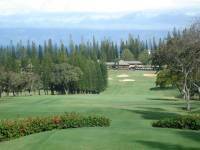 The most memorable hole at Kapalua Golf Club Bay Course though escaped the live cameras in 1983 because it came much earlier in the round. 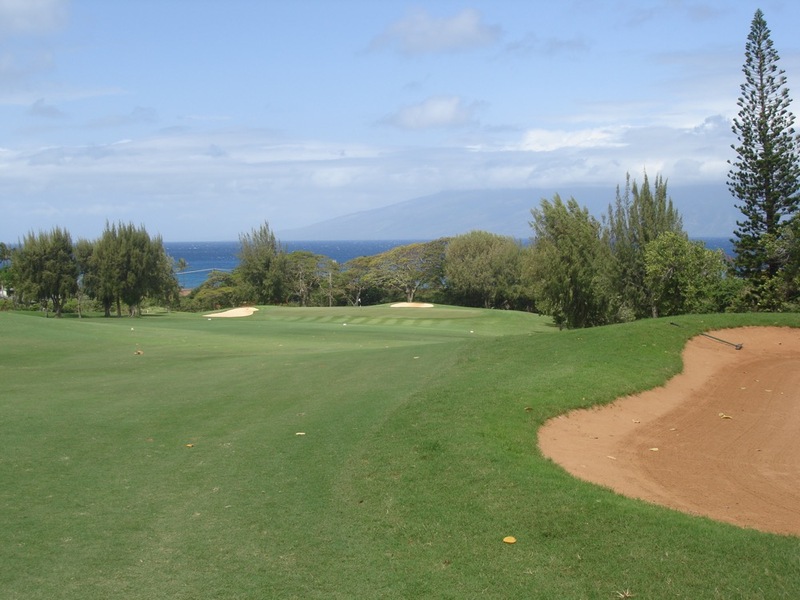 This is the 5th hole at Kapalua Golf Club Bay Course, the only course on the island of Maui with the Pacific Ocean actually in play and boy is the ocean in play on Kapalua’s Bay Course 5th hole, Kapalua Golf Club Bay Course’s 5th hole would fit right in at Cypress Point or Pebble Beach! 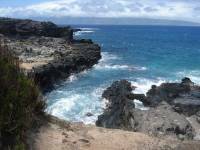 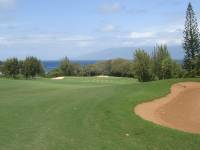 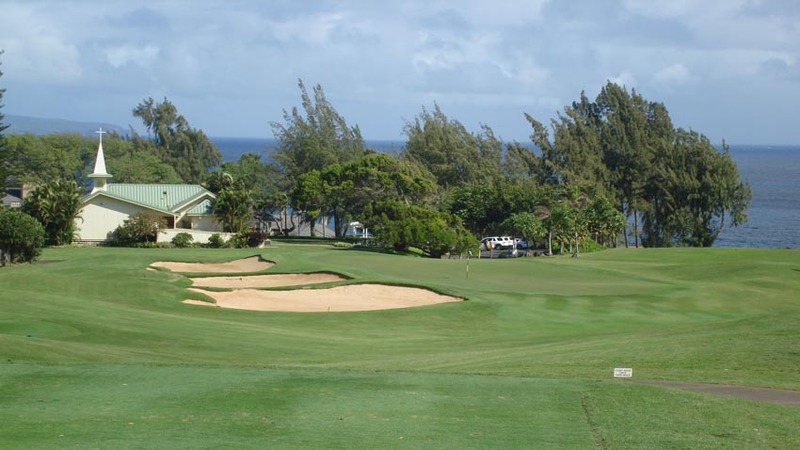 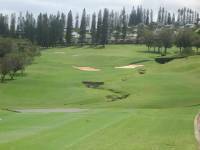 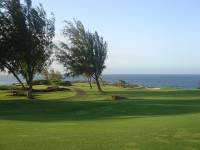 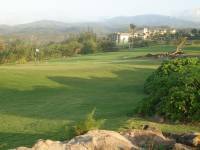 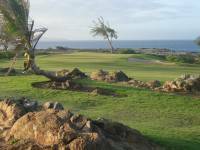 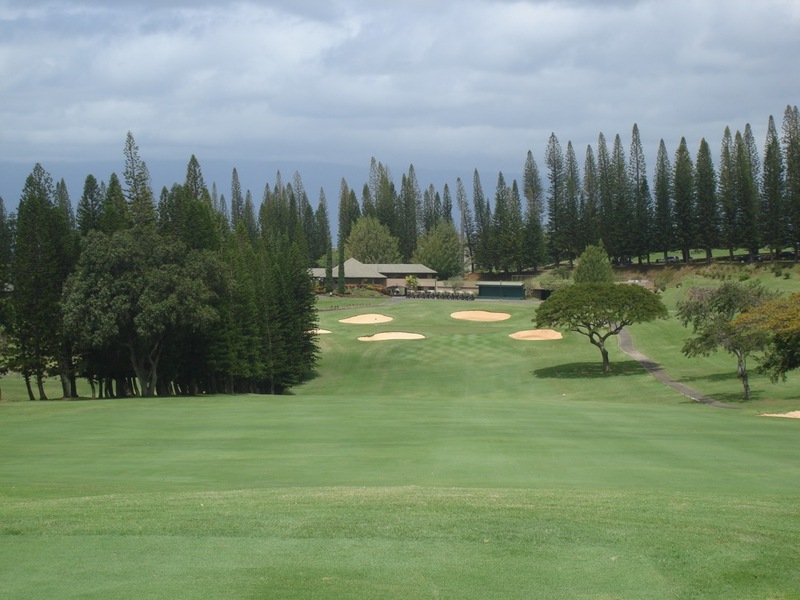 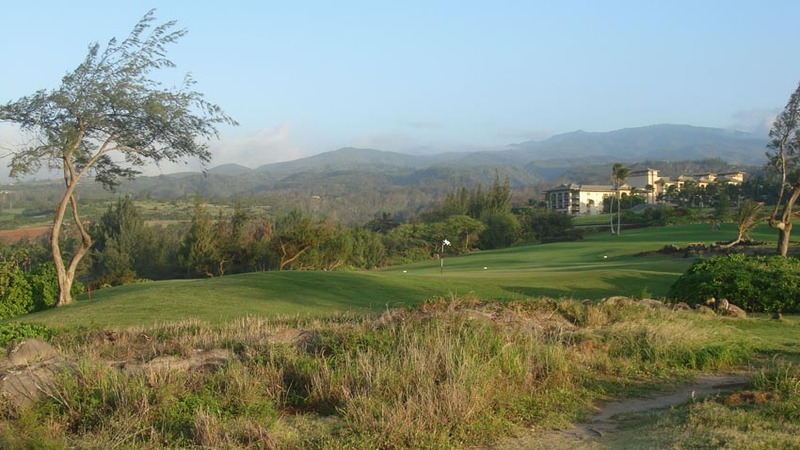 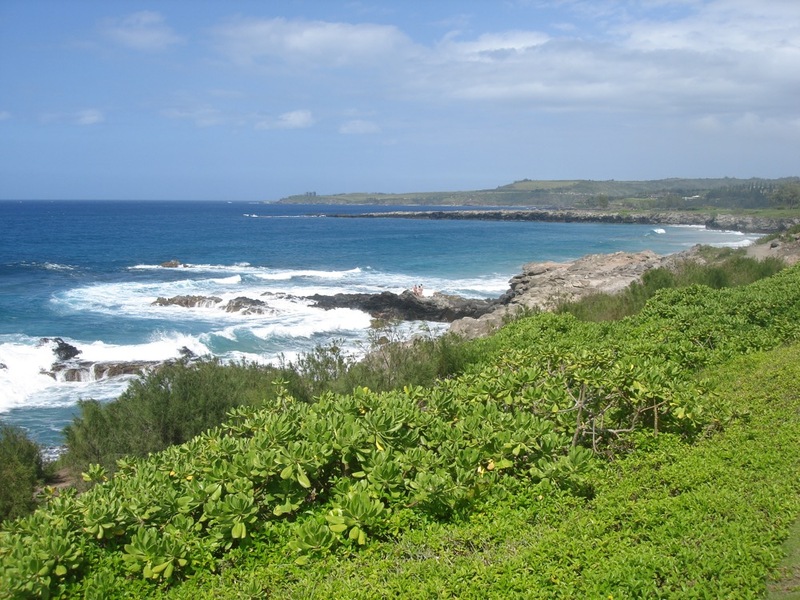 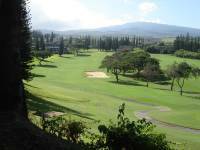 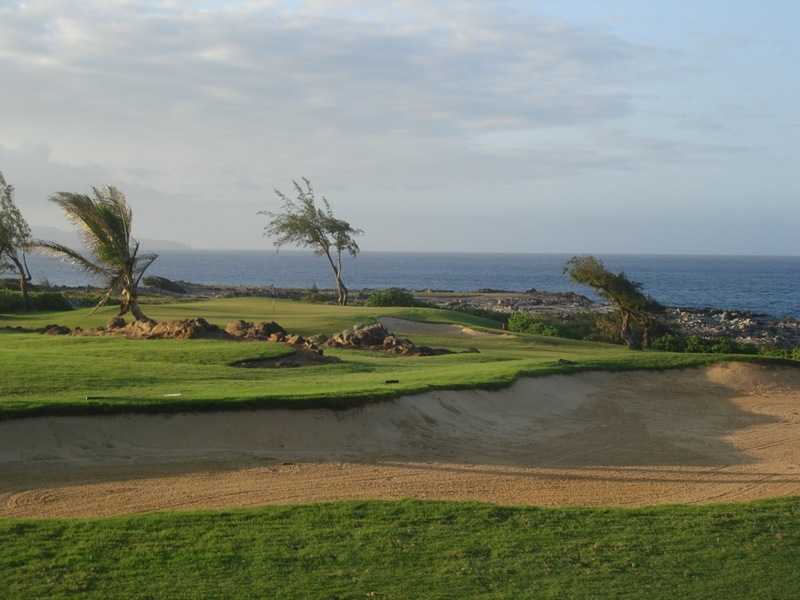 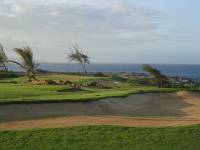 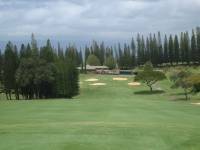 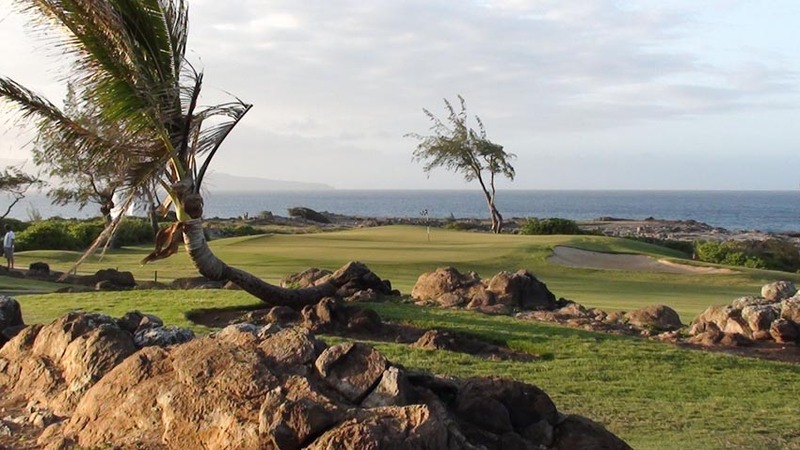 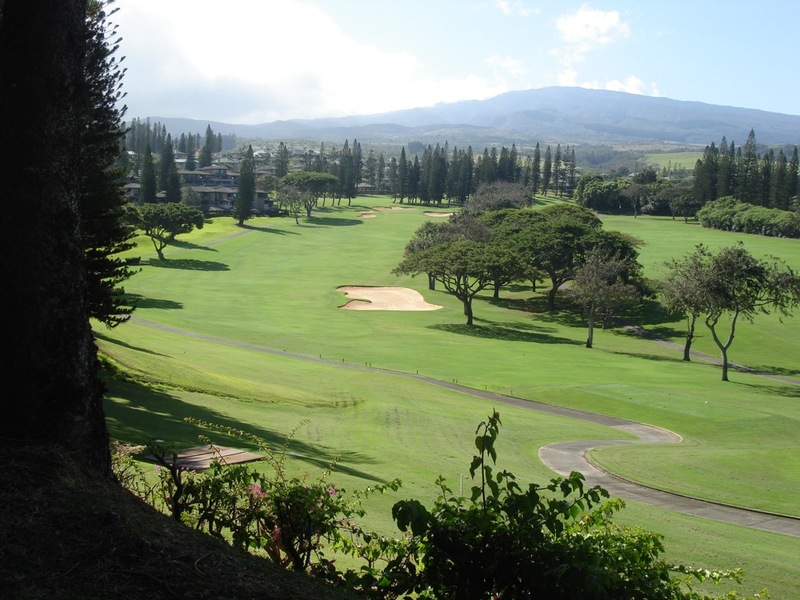 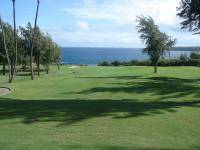 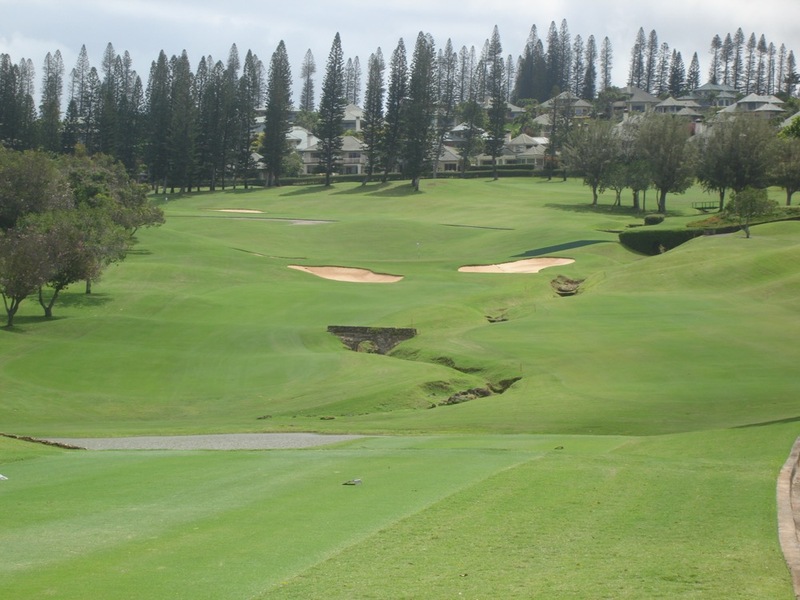 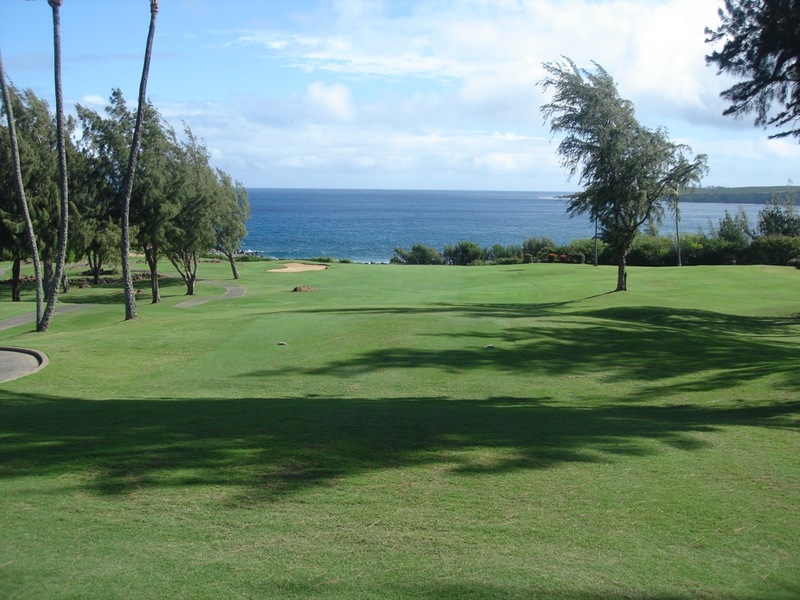 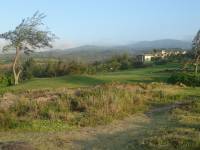 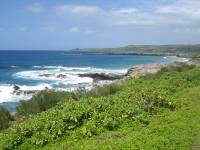 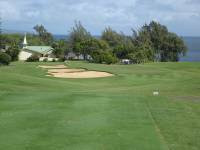 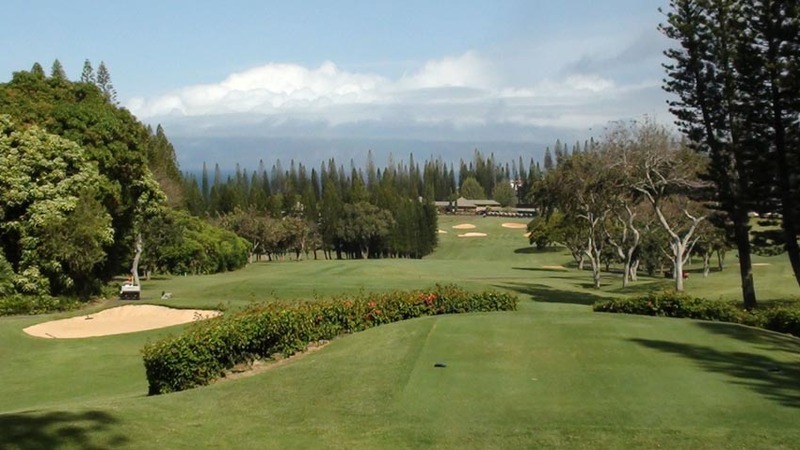 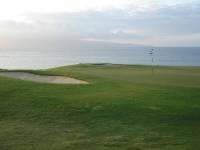 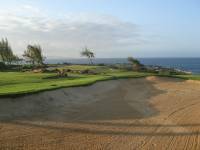 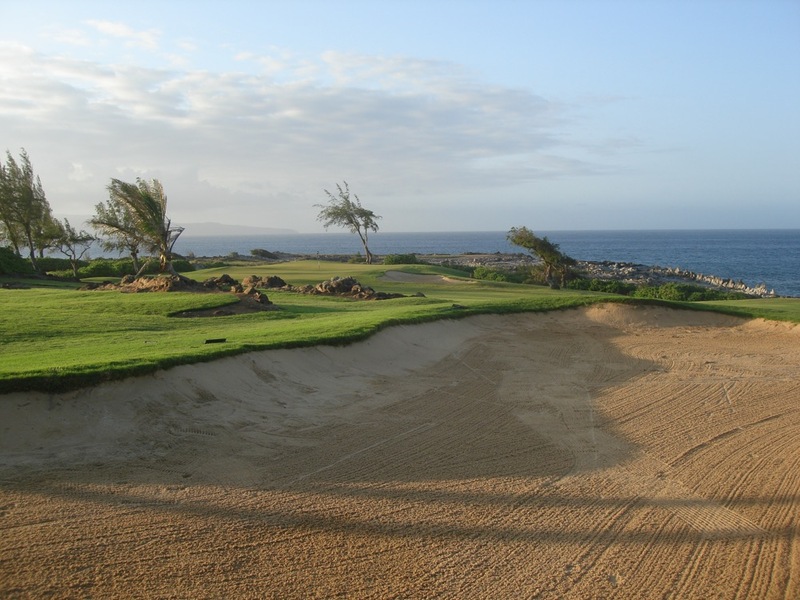 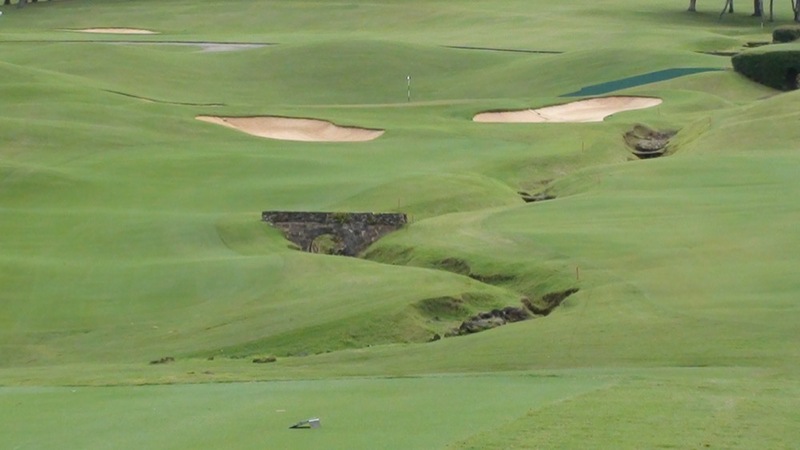 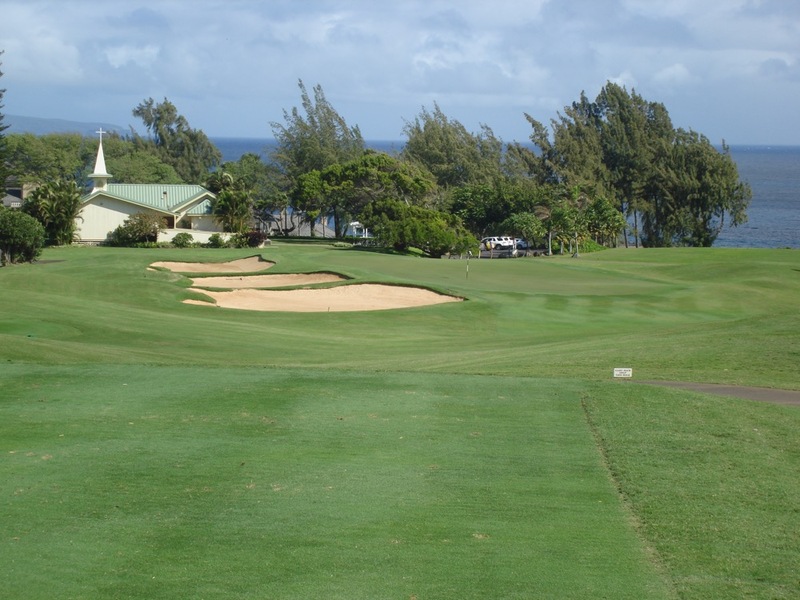 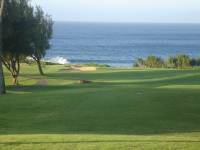 The Bay Course at Kapalua Golf Club may not be the flagship course any longer at Kapalua with the advent of the nearby Plantation Course, but in many ways like at many places the original experience is still the best! 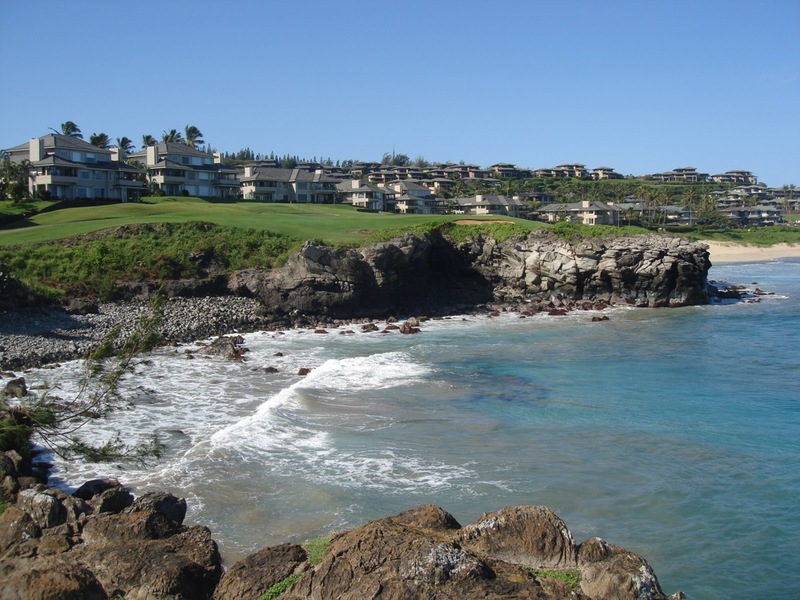 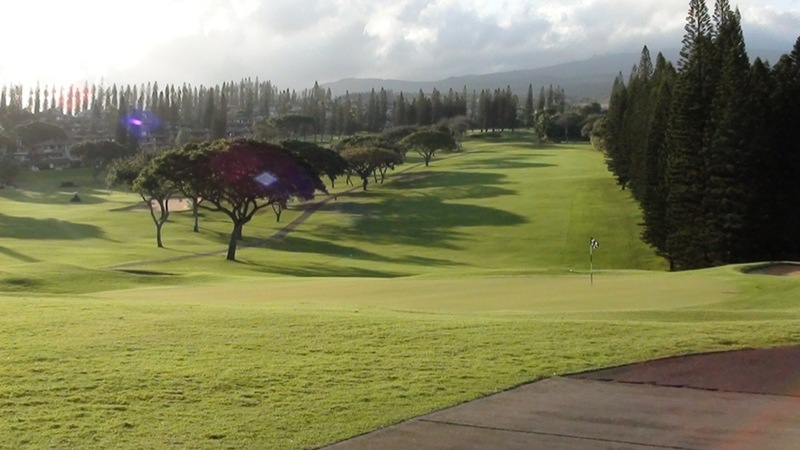 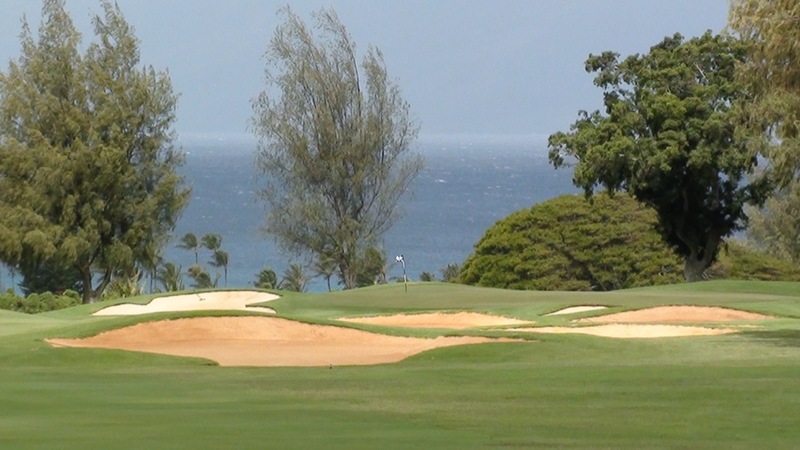 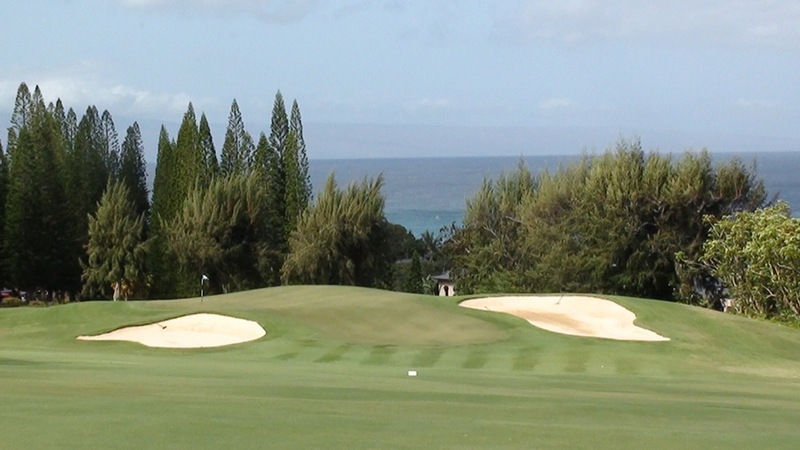 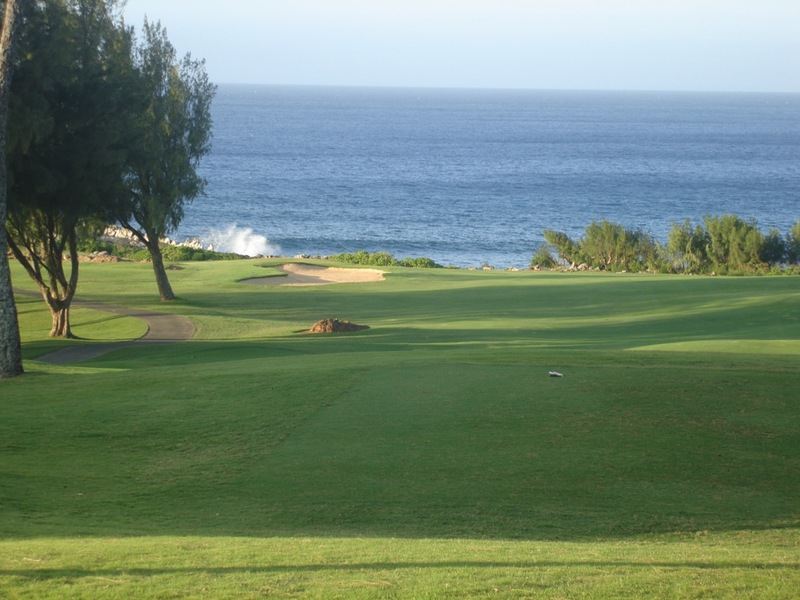 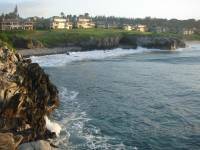 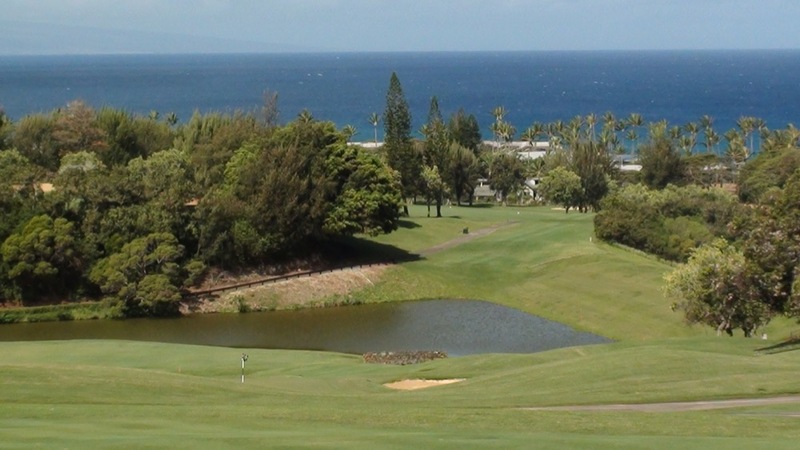 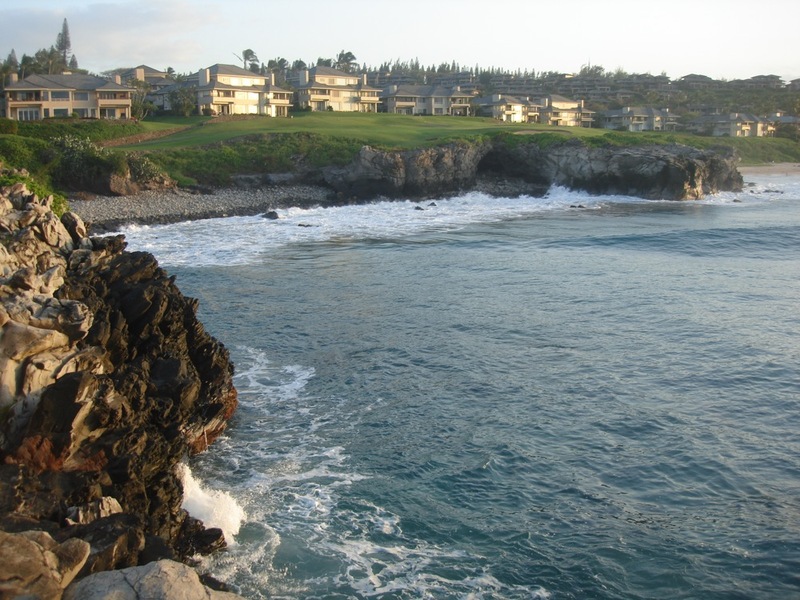 A round on Kapalua Golf Club’s Bay Course is simply a great way to start your Maui Golf Vacation!